We are excited to reveal some forthcoming events with Aïcha El Beloui and Mehdi Annassi, two award-winning artists from the Moroccan Collective Skefkef سكفكف . They are in residence with Shubbak for one week and are giving talks and workshops across London end of this month to warm you up until the festival kicks off next summer. 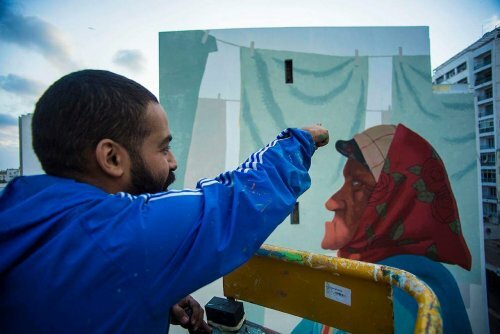 Mehdi and Aicha will be visiting West London to share aspects of their illustration, street art, and design work with ACAVA members and non-members, followed by an open discussion and Q&A on art practices in neighbourhood contexts. 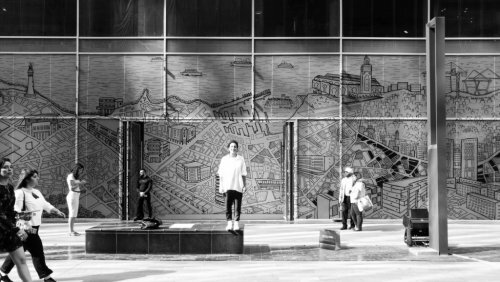 Mehdi Annassi and Aicha El Beloui will guide you through the process of creating large-scale illustrations within neighbourhood contexts in an illustration workshop.